Paddy Lillis – Usdaw’s current deputy general secretary – has today been elected unopposed to succeed John Hannett as the union’s general secretary. 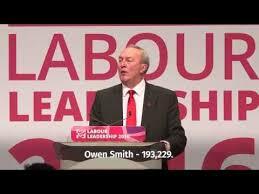 John Hannett said: “I am delighted that Paddy has been elected to succeed me next year as General Secretary of Usdaw. I am proud of the work we have done together, along with our reps across the country, to add over 100,000 to Usdaw’s membership in that time. I know Paddy will continue to grow the union and make Usdaw stronger, so that we can continue to improve workers’ lives and deliver for our members. Paddy Lillis was appointed to the role of Usdaw Area Organiser in 1989. He worked as an Area Organiser at the Union’s Bristol office for eight years before becoming the Divisional Officer for South Wales and Western Division in 1997. He was elected to the role of Deputy General Secretary in 2004. He was chair of the Labour Party’s NEC from 2015 to 2016.